A trebuchet uses a large counterweight attached to a lever to propel a smaller missile. We assume that the length of the arm from the fulcrum to the missile is fixed, and ask what is the optimum length of the arm from the fulcrum to the counterweight (given the masses of missile and counterweight are m and M respectively). 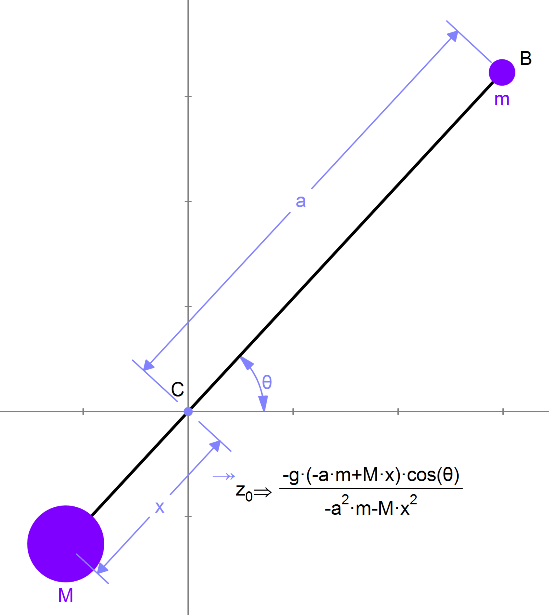 We generate the resultant acceleration of the angle θ. Only the first solution is positive, and is the desired arm length.